Original Release: 2015, Platform: PC, Developer/Publisher: Gearbox Software, Image Source: Steam, Thanks to Gearbox for providing our review code. There's a story about Betty Crocker that I'm rather fond of. Back in the 1950s the company was trying to figure out why its line of instant cake mixes wasn't selling better. After some research, it discovered that the housewives they were targeting with the just-add-water cakes didn't like how little effort it took to actually bake the things. Silly as it seemed, they needed to feel more involved in the experience. The company released a revamped version requiring prospective bakers add both an egg and water. Sales soared and the cake mixes became a huge success. I'm probably getting the details of that wrong and I'm fairly certain the story itself has been debunked any way, but I still think it serves as a good parable to explain why I've never been able to warm up to Homeworld 2. 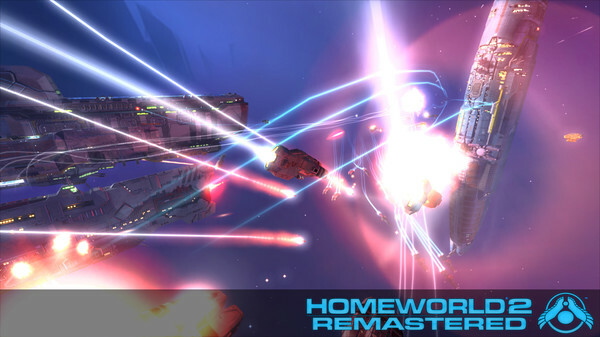 I loved pretty much everything about the original version of Homeworld 1. As much as I admired the visuals, music, and story however, the biggest part of what kept me coming back was its take on real-time strategy. It had a sense of freedom that made it feel unique to me. Most every ship, from the lowliest fighter to the biggest cruiser, was useful and the game left your tactical options open enough that you rarely felt forced into relying on any single battle strategy. 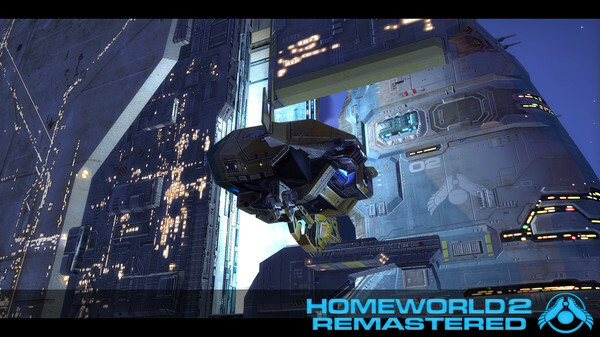 Homeworld 2, comparatively, feels like it wants to make the same cake without the egg. On the surface, the end product looks very similar. 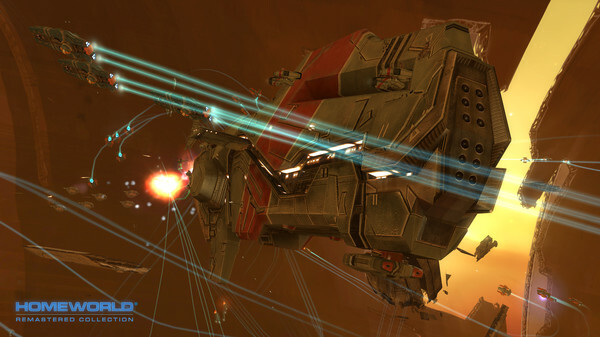 You get a fully-3D RTS filled to the brim with explosive and dazzling space battles. Sadly, however, the game ruins that by overly streamlining its experience so that many of the small things that made its predecessor interesting are gone. Take fighter combat. 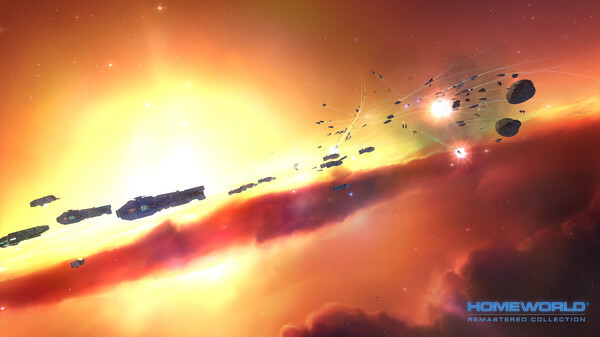 In Homeworld, you produced fighter craft as individual units that you could group into custom squadrons and command using a variety of tactics and formations. This process was probably one of my favorite parts of the entire game. I loved experimenting with different squadron builds; mixing units, dividing formations and otherwise just tinkering around to see what I could do and how well it would all work against my foes. 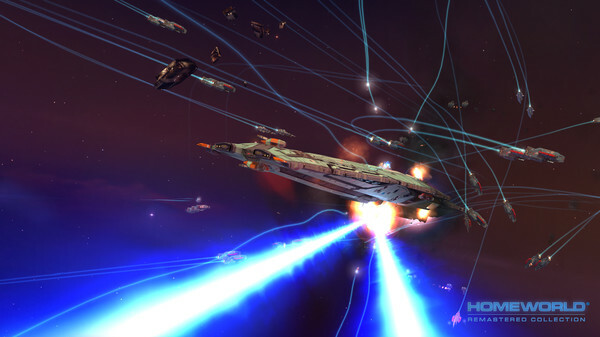 In Homeworld 2, fighters and corvettes are produced in uniform squadrons that can assume only one basic attack formation and enjoy tactical options that are basically limited to "defend yourself" and "attack everything in sight." It's far simpler and not in a good way. The game's units also lean much more toward specialization. Throughout the game you'll be given access to a number of ships (Flak Frigates, Pulsar Corvettes, Marine Frigates) designed entirely to serve a single purpose. Now, to be fair, this was something that existed in the first Homeworld as well. A Salvage Corvette was only good for capturing enemy units while an Ion Frigate wouldn't be much use outside of blasting capital ships with pretty laser beams. That being the case, it's far more pronounced in Homeworld 2. In the original game, you could send mismatched units against each other and still have some hope of survival. 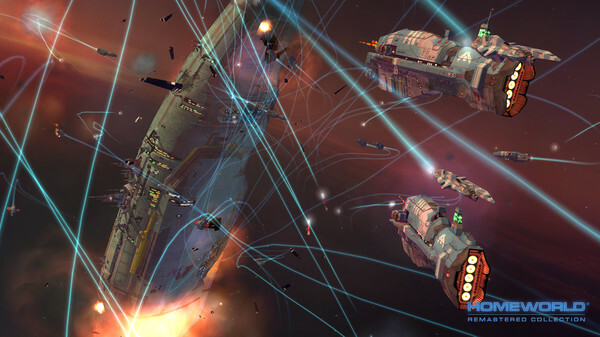 Violate the sacred rules of rock-paper-scissors in Homeworld 2 however, and you can usually be assured that the disadvantaged warship will lose.